Who says, like, couture is like, dead? 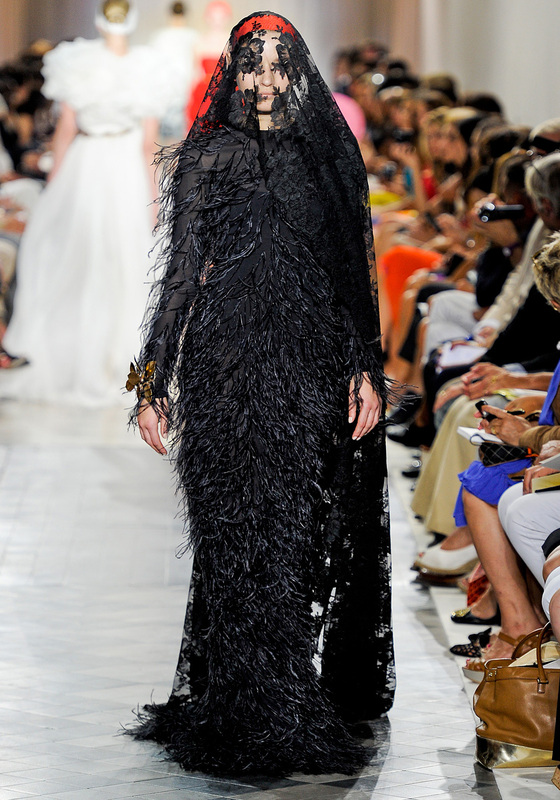 Giambattista Valli Fall 2011 Haute Couture - the craft lives on. Thanks to a designer like Giambattista Valli, who debuted his first Haute Couture collection in Paris today, the craft continues on. I will leave my musings on the history and future of Couture for another day, but for now, I will say that it is refreshing to see young talents like Valli take on the daunting task – and succeed so beautifully. The journey of Couture is a long and complex one, and certainly isn’t as black and white as some have dramatically declared in the recent past. 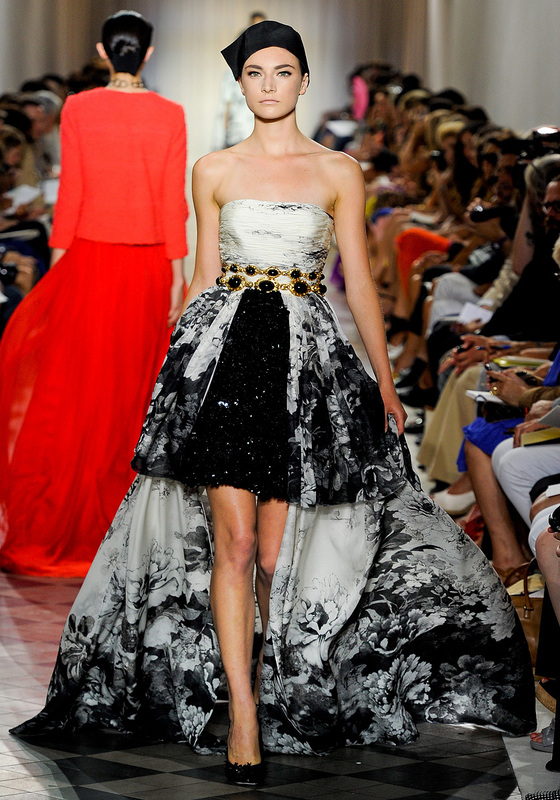 When it comes to couture, there is no such thing as simple black and white. Is fashion art? Should it be? Is it commerce? Is it both? Is there room within the business of fashion for creations equivalent to the cost of a cozy condominium? 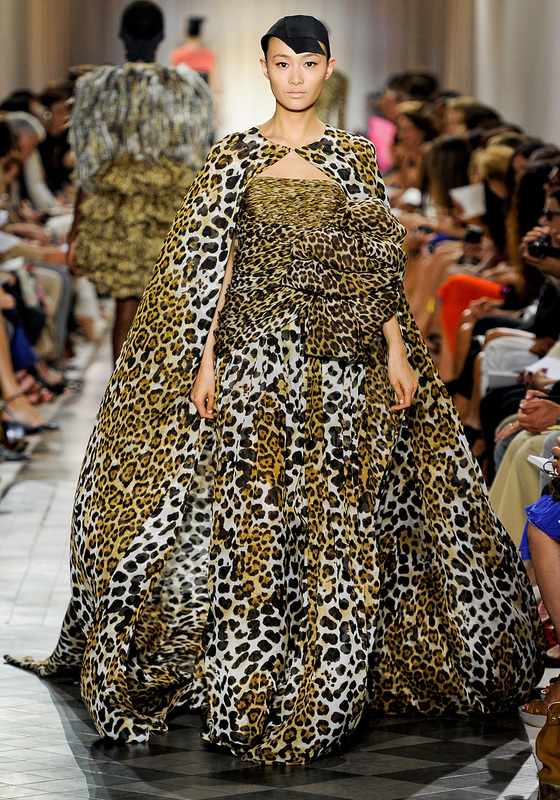 What couture should be - big, big, big. And dra-ma - there should always be Drama, with a capital D.
For me, the questions aren’t: is it wearable; is it practical; is it art; is it this or is it that? 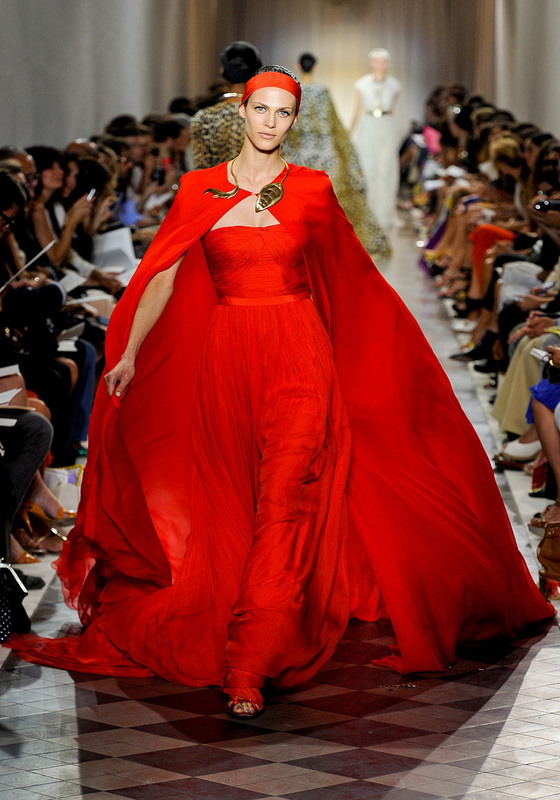 Couture isn’t something that my mind analyzes. Couture is all heart. Couture is what made me fall in love with fashion from a young age – that fantastical, evocative declaration of WOW, the million yards of fabric trailing down the runway, that explosion of feathers on a shoulder, that gravity-defying sculpture atop a petite head, that sparkle of endless sequins – it allowed me to dream – and dream big. 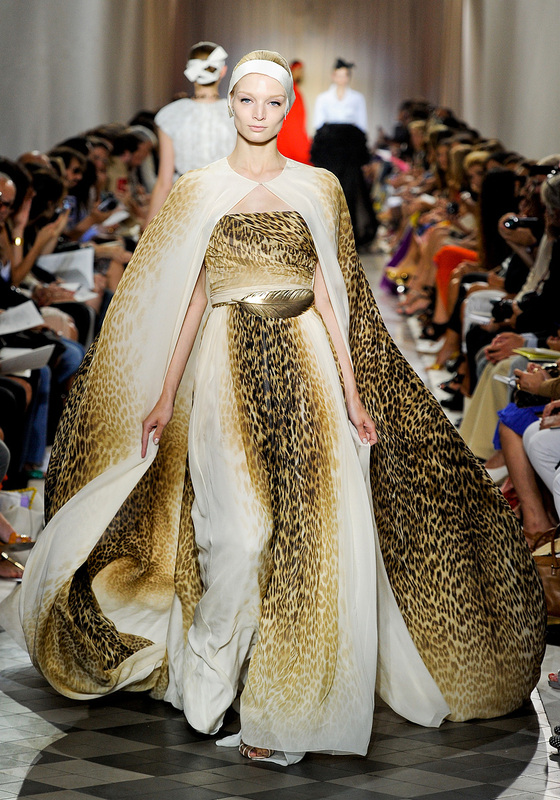 I am not about to give up my couture dreams now. I dream in Technicolor. I dream couture dreams. Images: Yannis Vlamos, GoRunway.com via Vogue.com.